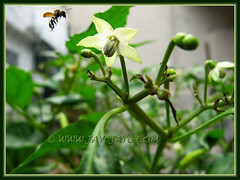 Our kitchen garden is situated at our backyard, just behind our kitchen for easy access. In reality, it’s just a small-scale project within a humble space, mainly to serve our kitchen needs. Previously, we’ve grown a mix of sorts that included a couple of fruit trees in containers, some herbs and occasional attempts at vegetable growing on the ground. They were long beans, 4-angled beans, calamondin (limau kasturi in Malay), brinjals, ladies fingers, spinach, and mustards, to name a few. If I recall correctly, the 4-angled beans was the most successful of the lot, with many harvests. Not only had it provided us a veggie dish whenever our refrigerator ran low of supply, we even had abundance to share with our neighbours. Such sweet memories of yesteryears! Later, when the backyard was paved, about a decade ago, we stopped growing veggies and concentrated on container-planting of some herbs and spices that are useful for adding flavour in our cooking. Our fruit trees, Sugar Apple (Annona squamosa) and Wax Jambu (Syzygium samarangense) were eventually phased out when they aged and bore much less fruits, which were just enough to feed the wild birds and monkeys that can detect these goodies from afar. This lovely variety was added to our backyard late last year and bearing peppers for the first time since late April. 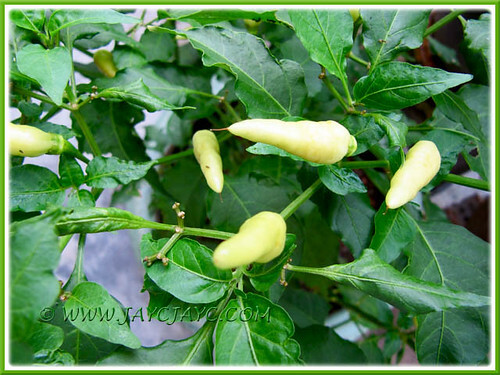 In appearance, it’s quite similar to the Chilli Padi or Bird’s Eye Chilli that originated from tropical South America, though its fruits are a little shorter and stouter. Also, this particular chilli is hotter, more pungent and fiery in taste. The fruits can be eaten raw or cooked, even harvested when unripened. The lemon-green fruits will eventually ripen to a fiery red in colour. We love eating them sliced and saturated in light soy sauce, as accompaniment to fried or soupy noodles. But, have to be mindful to consume them one or two slices at a time, otherwise its pungent and burning sensation will sort of ‘skyrocket you to the moon’ if you take a mouthful of one too many! This fragrant tropical grass, native to India and Sri Lanka, is widely grown for its many uses, especially for flavouring food in Southeast Asian cuisine, namely curries, tomyam, soups, teas, etc. It is such a favourite of ours too that our cooking needs usually outpace the supply from our kitchen garden. This is because it has been container-planted all these years and does not flourish as well unless planted in the ground. 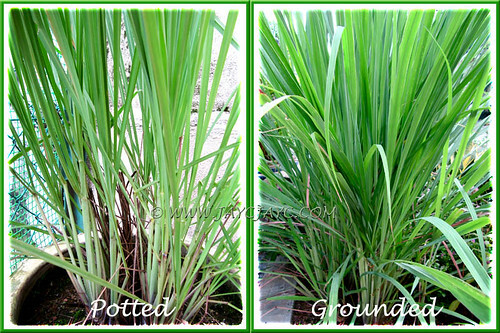 Hence, when a friend gave us a clump of Lemon Grass early this year, we finally decided to plant them in equal portions, in a pot as well as in the ground where the only likely ground space to spare was at our frontyard. 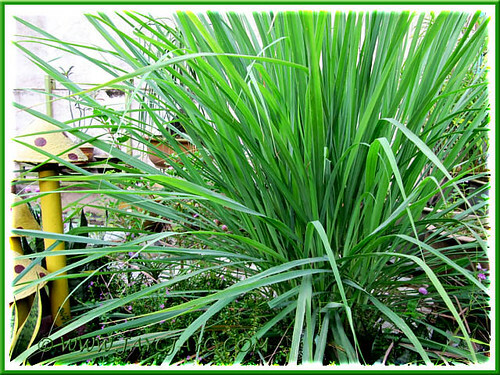 Check our article on the plant profile of Lemon Grass here to know more of this fabulous spice or herb and its medicinal properties, etc. at Wikipedia. Native to tropical South Asia, Turmeric is another very versatile herb in our backyard garden that delights us so! Just a finger-tip size of its pounded rhizomes is sufficient to add colouring to rice, curries, soups and veggies or to marinate seafood/meat for that extra flavour. We use its fragrant leaves extensively to wrap meat, fish and other food for frying or baking. Besides, by just adding a few pieces of the edible Turmeric or Kunyit leaves, whole or cut into fine strips, into a pot of dried curry beef/mutton or stew will bring forth the well-favoured distinct flavour. We just love its fantastic aroma and taste! Check out Turmeric’s extensive usages, including medicinal benefits, at Wikipedia. A plant that we cannot do without! 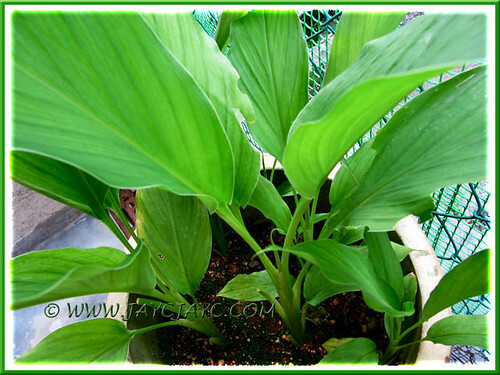 Its fragrant leaves are essential for flavouring rice dishes (e.g. chicken rice, nasi lemak), desserts, cakes, and others. 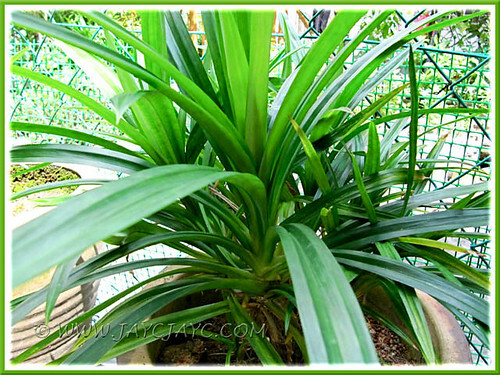 Get more information about this wonderful Fragrant Pandan here. Just crush its leaves with your hands and smell the aromatic fragrance! Hmm…heavenly! Another plant that we’ve been growing for years, almost as long as our marriage. A must have for our curry dishes, stir-fried buttered prawns and certain veggies. 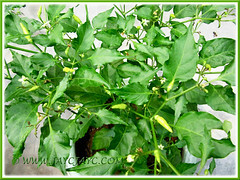 Being a larval host plant for several kinds of butterflies, our Curry Leaf Plant is frequently attacked by caterpillars that consume its leaves mercilessly, leaving them unsightly and appearing diseased. Hence, it needs a frequent haircut, otherwise it’s quite an easy-to-grow plant with least maintenance. Whatever, the Curry Leaves, which originated from India to Indochina, is worth growing to harvest its leaves for that unique flavour. Another interesting herb that is currently growing in our kitchen garden. It’s an on and off love affair with this plant as it is not so robust and gets easily tainted with white spots. Like the Polygonum minus (Daun Kesum in Malay), we grow this herb chiefly to spice up our curry laksa and assam fish dishes. 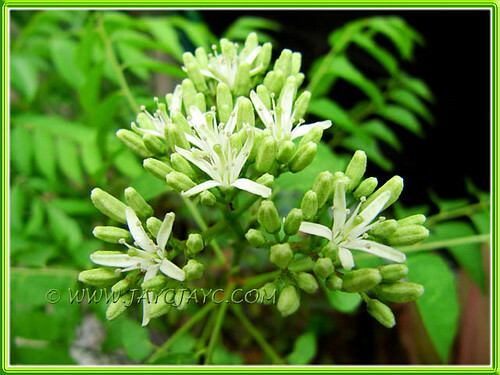 Love adding its lovely fragrance in egg omelette, salads and other food dishes, especially in mutton and lamb recipes. Just discovered that it can be added to tea for a minty flavour…. have to share this with my beloved John who simply enjoys his daily cups of tea. 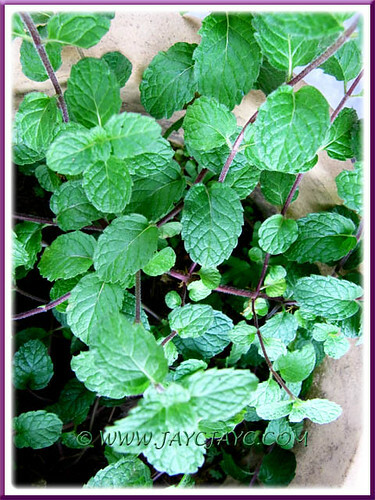 More information on this medicinal herb, Mentha spicata at our article here.